Ernst Heinrich Philipp August Haeckel (February 16, 1834 – 1919) was a philosopher, professor, physician, naturalist, biologist and artist. Ernst Heinrich Philipp August Haeckel was born on 16th February 1834 in Potsdam, Germany. He spent his childhood in the German town of Merseburg where his father worked as a government official. After receiving a degree in medicine in 1857, Haeckel practiced medicine for a short time. He then travelled to Italy where he painted and considered becoming a professional artist. Heavily influenced by Charles Darwin’s 1959 work “On the Origin of Species by Means of Natural Selection” Haeckel returned to academic studies, obtaining a doctorate in zoology from the University of Jena in 1862 and then teaching zoology there. He became an associate professor of zoology in 1862 and Haeckel remained at Jena until he retired from teaching in 1909. Haeckel’s contributions to zoological science were a mixture of sound research and assumptions often with insufficient evidence. He was a renowned figure whose popularity with the public was substantially higher than it was with many of his scientific peers. Although best known for the famous statement “ontogeny recapitulates phylogeny”, he also invented many words commonly used by biologists today, such as phylum, phylogeny, and ecology. 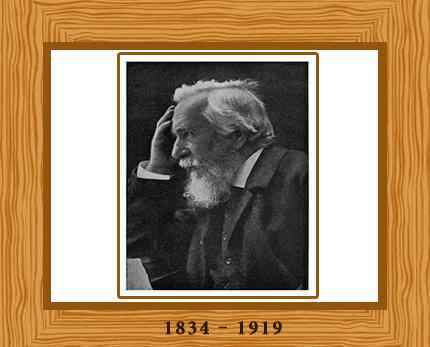 On the other hand, Haeckel also stated that “politics is applied biology”, a quote used by Nazi propagandists. The Nazi party, rather unfortunately, used not only Haeckel’s quotes, but also Haeckel’s justifications for racism, nationalism and social Darwinism. Haeckel also proposed the idea that all multicellular animals derived from a theoretical two-layered (ectoderm and endoderm) animal, the Gastraea, a theory that provoked much discussion. He engaged in much valuable research on marine invertebrates, such as the radiolarians, jellyfish, calcareous sponges, and medusae, and wrote a series of monographs on these groups based largely on specimens brought back by the Challenger Expedition of 1872 to 1876. He was the first to divide the animal kingdom into unicellular and multicellular animals. An ardent Darwinist, Haeckel made several zoological expeditions and founded the Phyletic Museum at Jena and the Ernst Haeckel Haus, which contains his books, records, and other effects. An effective popularizer of science, Haeckel produced numerous tree diagrams, showing evolutionary relationships between different species. Modern scientists and science historians have varied on the value of these diagrams but many praised his work and creativity. Haeckel also produced artwork, much of it quite beautiful, starting with his atlas of radiolarians, published in 1862. It has been argued that what he saw was influenced by Jugendstil, the Art Nouveau form popular in Germany at the time. Whether or not artistic style influenced Haeckel’s illustrations, his illustrations certainly influenced later art forms, including light fixtures, jewelry, furniture, and even a gateway to the Paris Word Fair in 1900. In 1906 the Monist League was formed at Jena with Haeckel as its president. The League held a strong commitment to social Darwinism in which man was seen as part of nature and in no way qualitatively distinct from any other organic form. Later in his career, Haeckel produced “Art Forms in Nature”, a work that he published in a series of 10 installments. Designed to interest the general public in naturalism, Haeckel’s own illustrations of animals, plants and microscopic organisms were introduced. In 1913, he published a set of photographs titled Nature as an Artist, aimed at countering allegations that his illustrations could be misleading. Today, however, many scientists and science historians share the conviction that his images were often highly contrived, beautiful as they may be. The “European War” became known as “The Great War”, and it was not until 1931, with the beginning realization that another global war might be possible, that there is any other recorded use of the term “First World War”. He was one of the first to consider psychology as a branch of physiology. His chief interests lay in evolution and life development processes in general, including development of nonrandom form, which culminated in the beautifully illustrated “Art Forms in Nature”. Although Haeckel’s ideas are important to the history of evolutionary theory; he was a competent invertebrate anatomist most famous for his work, many speculative concepts that he championed are now considered incorrect but still he has been admired greatly for his contributions. Haeckel died on August 9th, 1919, in Germany, leaving behind his great inventions for others to serve as a source of inspiration.